If you have poor or damaged credit, it certainly doesn't mean credit card issuers don't want your business. In fact, many issuers create cards specifically for those with a bad credit history. Though these cards' interest rates and fees tend to be higher than others, they offer easier approval standards and are geared toward helping customers build credit through responsible use. Make your payments on time each month, and keep your balance low relative to the credit limit, for positive marks on your credit report. Below is a summary of these cards and their terms. While having a less-than-perfect credit score can make being approved for a credit card difficult, it’s certainly not impossible — you just need to know a few facts and a little big-bank jargon. Below we’ll take a look at seven considerations when applying for a credit card when you have bad credit. Credit cards come in many forms, but the two biggest differentiators are secured and unsecured. Secured cards are normally easier for people with low credit scores to be approved for. This is because a deposit is required, oftentimes equal to the amount of credit you’ll receive. This is the bank’s way of protecting itself in the event you default on payments. While credit limits are usually low with secured credit cards, they’re great stepping stones to unsecured cards. An unsecured card is a line of credit that does not require a deposit for approval (some, however, may be fee-based). Many unsecured cards come with rewards programs, and a general rule of thumb is the better your credit, the better the cards and rewards programs. However, many unsecured cards for bad credit still offer points and cash back rewards, and with responsible use, you can work your way toward better unsecured offers. Before you choose the card you wish to apply for and begin the application process, it’s important to know which offers are available to you. This is because your credit score can be negatively affected by applying for credit cards you’re not approved for. Every time you apply for a line of credit — be it secured, unsecured, or even a personal loan – a hard inquiry is made to your credit report. An inquiry is the vetting process by a lender reviewing your credit history to determine approval. While the impact is minor, it can affect your credit score for up to 12 months, and remain on your credit report for two years. Credit One Bank offers many cards for bad credit with cash back rewards, gas rewards, and no deposit required. Additionally, Credit One cardholders enjoy free credit score tracking and automatic reviews for credit line increase opportunities. Whichever issuer you decide on, be sure to select a card that reports your activity to the Consumer Reporting Agencies. Making your payment on time and keeping your balances low relative to the credit limit will result in positive marks on your credit report. 3. Do You Have Bad Credit, Poor Credit, or No Credit? The category you fall into is based on your credit score, which is a reflection of the information contained on your credit reports from each of the three credit bureaus: Experian, TransUnion, and Equifax. Your credit score is determined by your payment history, amounts owed, length of credit history, types of credit, and new credit. Each of the five components is weighted differently to calculate your score. If your score is 650* or above, you’re more likely to qualify for a credit card for fair credit (650-699*) or a credit card for good credit (700+*). Choosing the best credit card for your wallet can quickly become overwhelming given the number of options available. That’s why it’s important to refer to reliable and trusted sources for the best credit card reviews. Understanding what makes a good card is an important first step — this entails a low APR (the worse your credit, the higher your APR, but always compare options to find the best available to you) and no annual or hidden fees. Rewards cards are nice, but generally carry higher APRs, so if you’re not paying the balance in full each month, your interest charges can easily outpace the rewards you earn. For those with poor credit, a card with automatic reviews for credit line increase opportunities can be a valuable feature. Our rankings are determined by a number of factors, such as issuer reputability, customer satisfaction, and terms of the card itself. The details of each card are listed above for easy readability to ensure you’re never victim to predatory lending. Despite the tricky language, receiving a pre-approved or pre-qualified offer for a card does not guarantee approval. What this actually means is that you’ve been identified by that issuer as having met a certain set of criteria for approval of that particular card, such as having a credit score above 650*. When applying for the card, you’ll be required to provide additional qualifying information, such as income and debts, that could disqualify you for the same card for which you were “pre-approved” or “pre-qualified”. The bottom line – just because you meet one of the criteria the issuer has set for a card does not necessarily mean you meet all of them, and therefore approval is never guaranteed, which leads us to our next topic of discussion. You’ll see the term “guaranteed approval” in a card’s description, usually marked with an asterisk. This is because you’re guaranteed approval if you meet this, that, and the other issuer requirements. These cards are notorious for having high interest rates, fees, and other unfavorable terms because these issuers know their customers’ options are limited. In other words, easy-to-get cards might be bad news. There’s also the “no credit check” and “instant approval” cards, which are predominantly prepaid cards. Unfortunately, prepaid cards cannot help you build your credit score because they do not report to the credit bureaus. A prepaid card is not a line of credit, but rather acts more like a debit card in that you fund the card yourself and use it wherever Visa, Mastercard, and other large issuers are accepted. When you decide on the right card, you have to use it responsibly, or you won’t be doing your credit history any favors. A credit card is one tool that can help you build your credit history. Ultimately, only you can turn your credit problems around, and each person’s situation is different. When you have no credit history, the best thing you can do is establish your first trade line (line of credit) on your credit report. One of the easiest ways to do this is by getting your first credit card and following the golden rules of credit card ownership, which are to always pay on time and keep your balance low — it’s really that simple! If you’ve made a few credit blunders in the past, know that time is your friend — late payments, charge-offs, and other negative marks can only remain on your credit report for up to seven years (bankruptcies may last up to 10). In the meantime, you can actively work to build your credit by getting a card for bad credit and proving yourself a good credit risk by applying for a manageable credit limit, avoiding missed payments to your creditors, and establishing diverse credit. 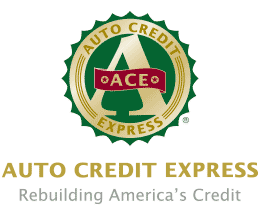 Between your newfound knowledge and our expert reviews, you can choose the best credit card for bad credit and use it to prove you can responsibly manage a credit account. You’ll realize that being approved for the card, even with bad credit, is actually the easy part — it’s using it responsibly that can be difficult. Spend wisely! *FICO scores/credit scores are used to represent the creditworthiness of a person and may be one indicator of the credit type you are eligible for. However, credit score alone does not guarantee or imply approval for any credit card product. Information in these articles is brought to you by BadCredit.org. Banks, issuers, and credit card companies mentioned in the articles do not endorse, guarantee, and are not responsible for, the contents of the articles.